Ideal for painting smooth surfaces such as walls/plaster. 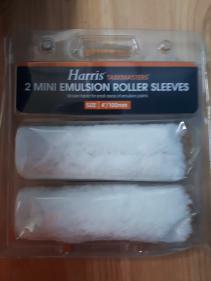 These sleeves are for use with emulsion paints. Useful for smaller areas and difficult to reach places (eg. Behind a radiator).